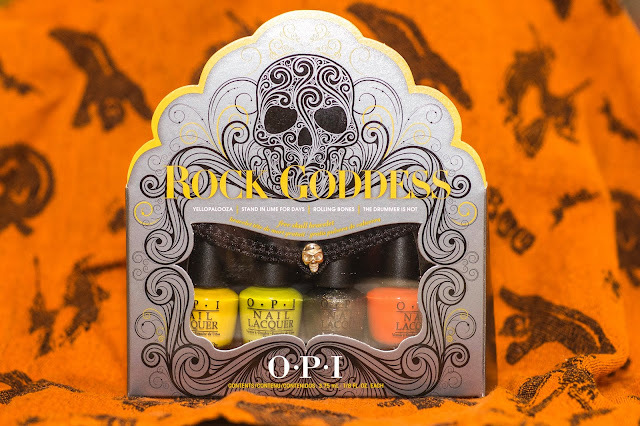 For 2013, OPI introduced this adorable mini collection of Rock Goddess neon shades, complete with a cute free skull bracelet. Enjoy this fun Halloween collection! 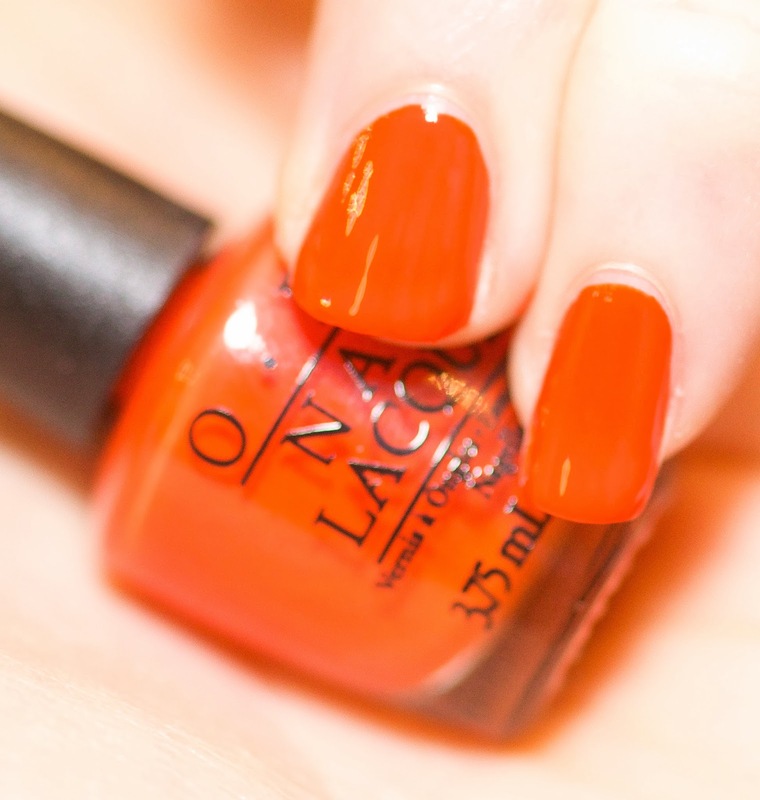 This is not a Halloween-orange (check out my candy corn nails for that!). 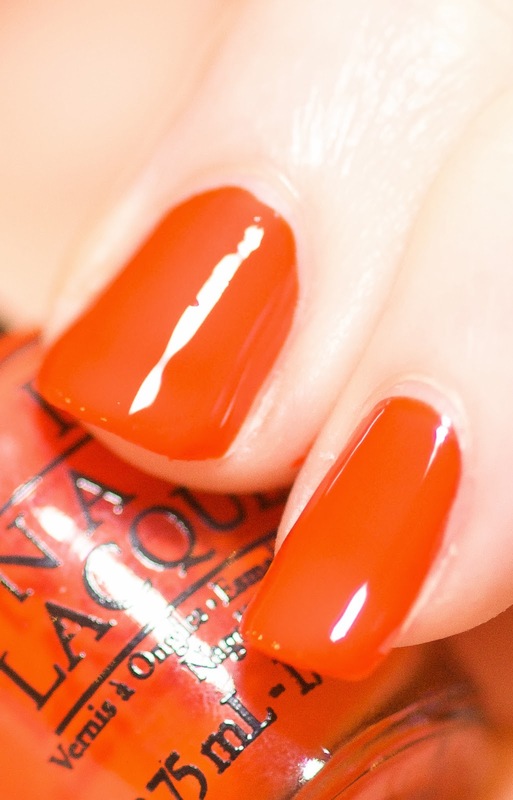 This is a more reddish orange. 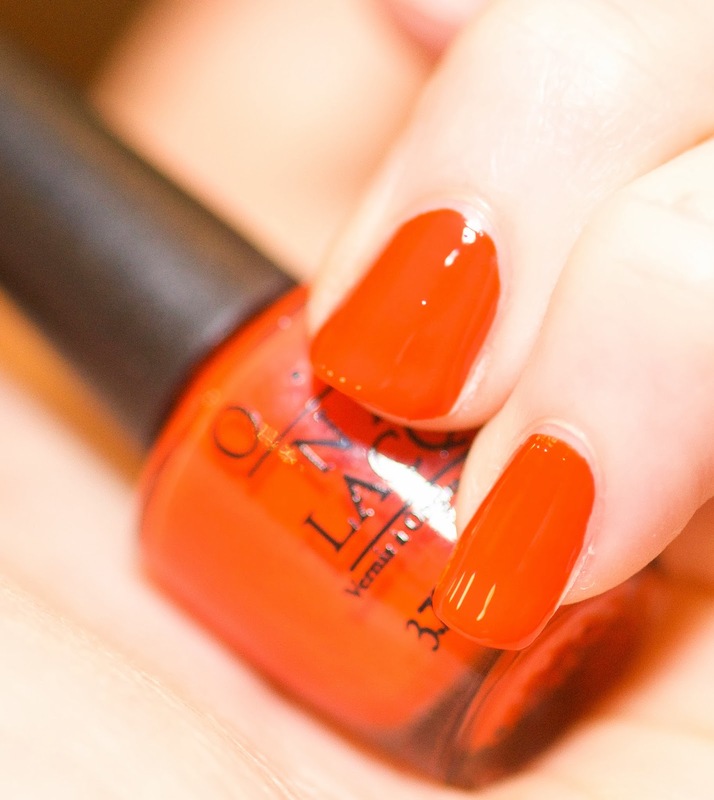 I'm never a big fan of orange polish, so this one is just so-so for me. This is a fun yellow creme that covered really well. 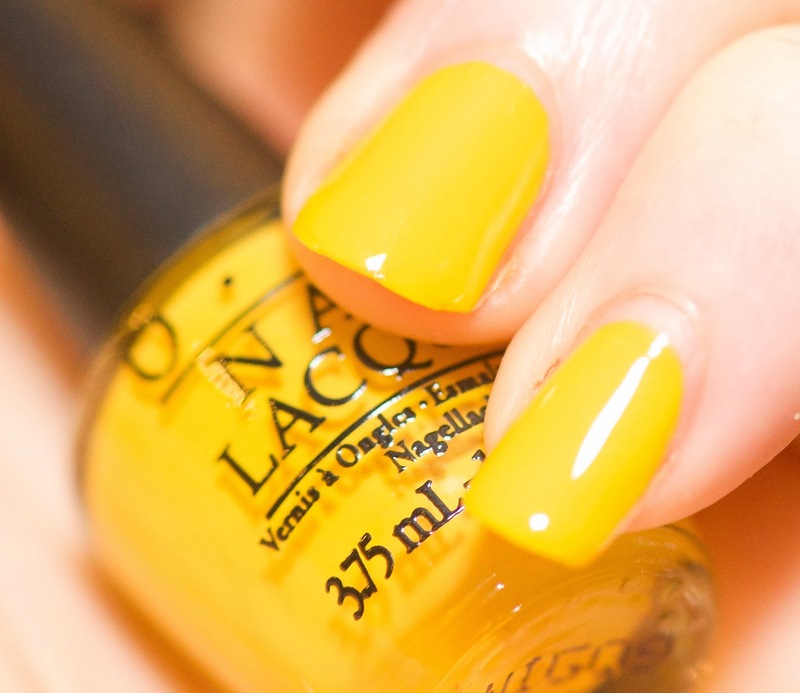 I want a full sized bottle of this! I love school bus yellow polishes. They are surprisingly hard to find, and this is a really nice one. For some reason I thought this one was sheer so I applied it over a base. 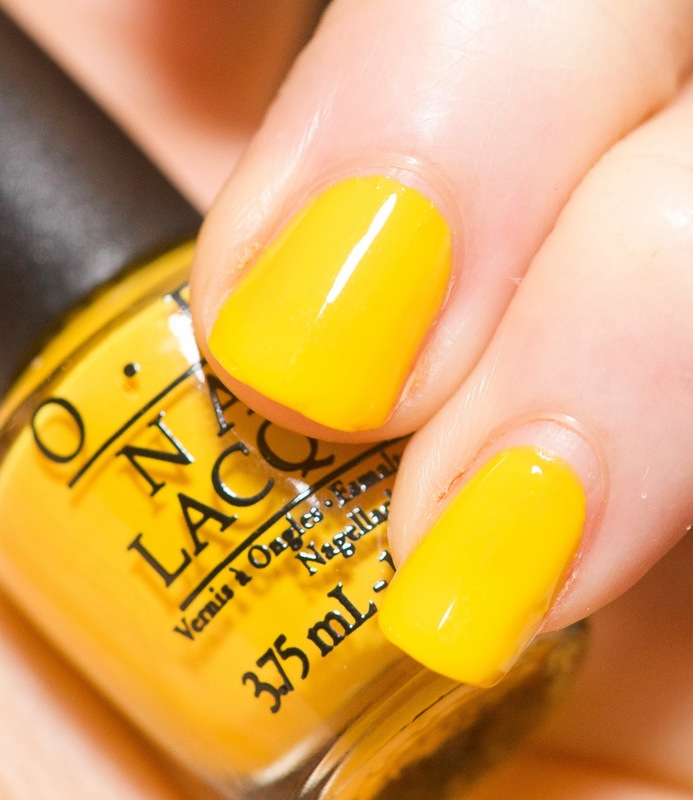 It definitely isn't - this polish needs no base color. It is beautiful and so shimmery! This was surprisingly my favorite in the collection. Great limey green creme. 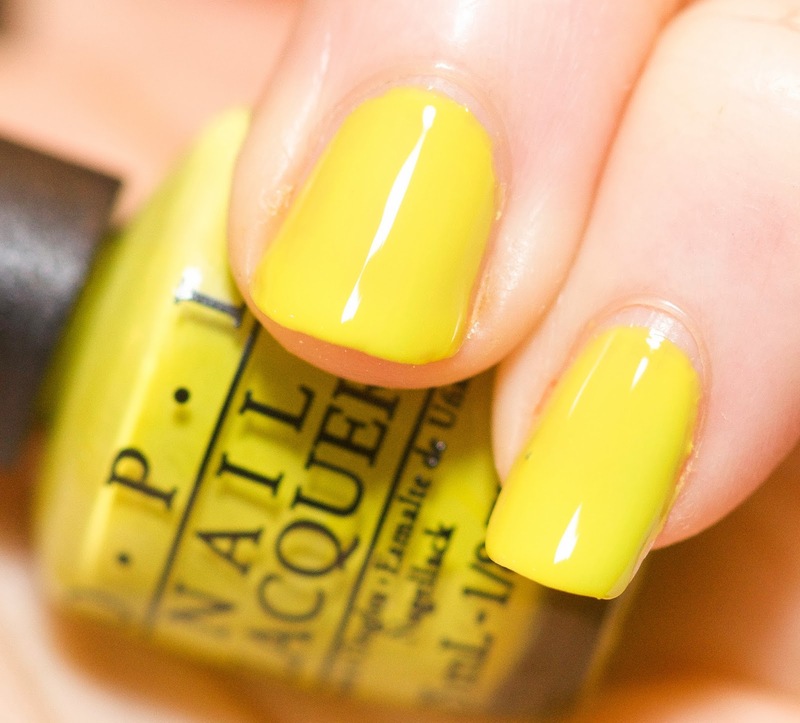 This one reminds me of some of the Shrek polishes OPI came out with a few years ago - but this is not a dupe. I'm a sucker for lime greens, and this one did not disappoint - especially with the stronger yellow tones. I'm a fan! 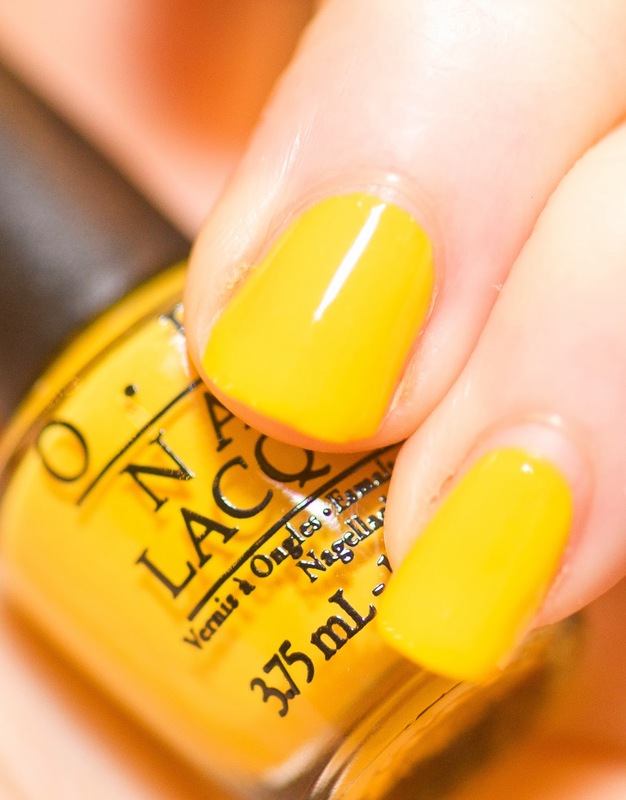 Be sure to check out this collection at www.OPI.com or your local retailer.